The two main focal points for the village are Frilsham Clubroom, close to what has traditionally been known as Frilsham Common, and St Frideswide Church in the valley. The village shop closed in 1963 and the school in 1961. The once traditional village pub has become a gastropub. In 1951 Lord Iliffe gifted the football field and adjoining site for a hall and changing rooms. Fundraising to build a new hall began in earnest and was largely driven by Mrs Katherine Blanford who lived at the original Yealand. 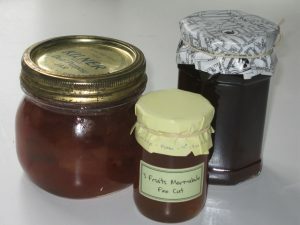 She held a fortnightly needlework group for local people which produced an array of handcrafts for sale to boost funds, along with her renowned marmalade. Mrs Evelyn Pilkington (Appledown) and Miss Cecily Maggs (Frilsham School Headteacher) were equally active fundraisers and along with some larger donations the hall was completed in March 1956 with space alongside for the football field and swings. A "Village Club" had already begun and was held in Yealand with Miss Maggs as Chairman which moved in 1956 to the new hall to be known as "The Clubroom". It was officially opened at the annual Frilsham Garden Fete (held in Yealand's garden) in May of that year, for which admission for adults was 1/- and for children 6d. The Frilsham Village Club continued to meet in the hall and by 1958 there were regular Frilsham Club Nights. Mrs Blanford and Mrs Pilkington were co-founders of the Friendship Club which met on a Monday afternoon in the Clubroom. Historical information taken from A History of Frilsham by Dorcas Ward published in The Broadsheet (2012-2015). As well as the Friendship Club many groups continued to meet at the Clubroom including the Youth Club and, during the Summer, there were organised holiday activities provided by Berkshire County Council. 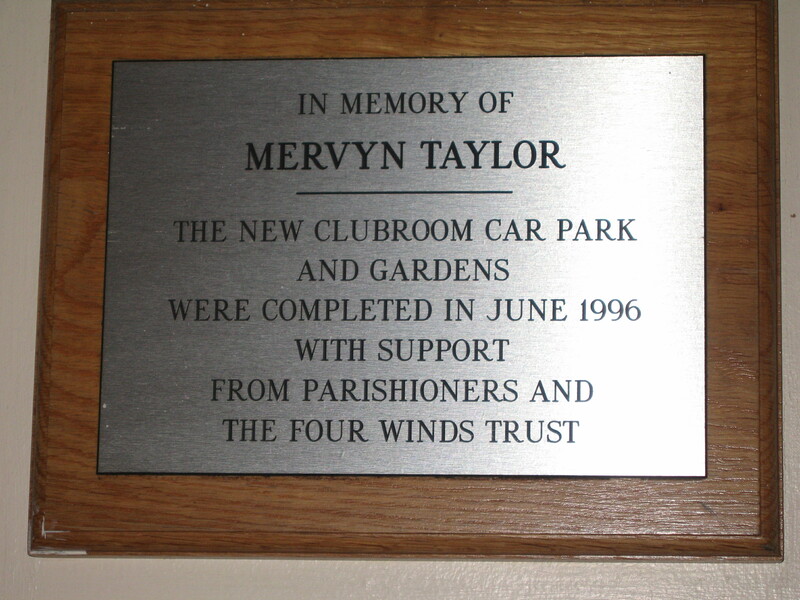 The Clubroom was refurbished in 1992 - a new kitchen inside and, outside, a new car park surface and flower beds. 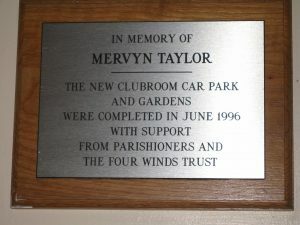 The car park and gardens were dedicated to the memory of Mervyn Taylor who had been active in village life including as Chairman of the Parish Meeting (predecessor to Parish Council) for 15 years. After the Millennium the Clubroom was used much less - a longstanding aerobics class ended and after 50 years the Friendship Club was disbanded. The Clubroom and surrounding area were frequently vandalised - the windows were often boarded awaiting repair yet again. In 2007 an appeal was made to local people to come forward to rescue and refurbish the building and they did, showing that community spirit was alive and well. All the work was done by volunteers including fitting a new kitchen, decorating inside and out, and installing security systems (alarm and CCTV) as well as a gate that is locked overnight. The Clubroom was re-opened in 2008 with a village barbecue attended by over 200 to celebrate all the hardwork and achievement. Projects around the Clubroom have continued such as the creation of the new playground and smaller projects. There is still sporadic vandalism which is disappointing. The Clubroom is now in need of modernising and once again there is talk of plans and fundraising. Watch this space!